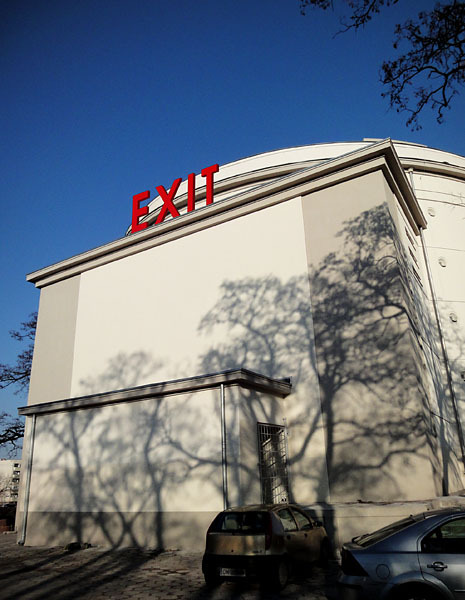 The English word “Exit” is so recognizable, even in Poland, that its readability causes no semantic doubts. The shape and the color themselves only increase its message. 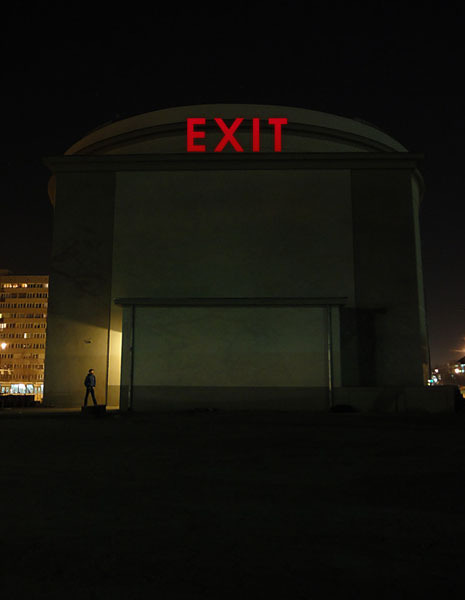 Realization of this project was sort of playing with meaning of the word in the context of not only scale of the building and the sign, but also building's purpose: a place where you enter in hope of finding refuge, a structure which magnitude evokes a feeling of safety. Passivity of such situation would have meaning that is opposite to the message that screams from the sign at the viewer. This presentation was displayed in Wrocław on Bunkier Strzegomski (Strzegomski Bunker), one of the few air-raid shelters for civilians that were built around year 1942.